Skoda’s flagship car, the 2016 Superb luxury saloon, is less than 6 months away from launch. This information was confirmed by Dr. Frank Welsch, Skoda’s Director for Technical Development. The 6 month run up to the 2016 Superb’s launch is indicative of a 2015 Geneva Motor Show debut for the car. With the 2016 Superb, Skoda will continue pushing forth its gameplan of making its cars more practical than ever before by adding space to the interiors. The 2016 Superb will be larger than ever before, with a wheelbase that outdoes that of the 2015 Passat, with which the Skoda flagship shares its MQB platform. A 2,836 mm wheelbase is said to be in the works for the 2016 Superb, and this is a full 75 mm bump up over the current generation model’s wheelbase, and is also significantly more than the B8 Volkswagen Passat’s 4,767 mm wheelbase. However, the 2016 Superb’s length will be restricted to sub-5 meters, to keep it reasonably maneuverable in traffic. 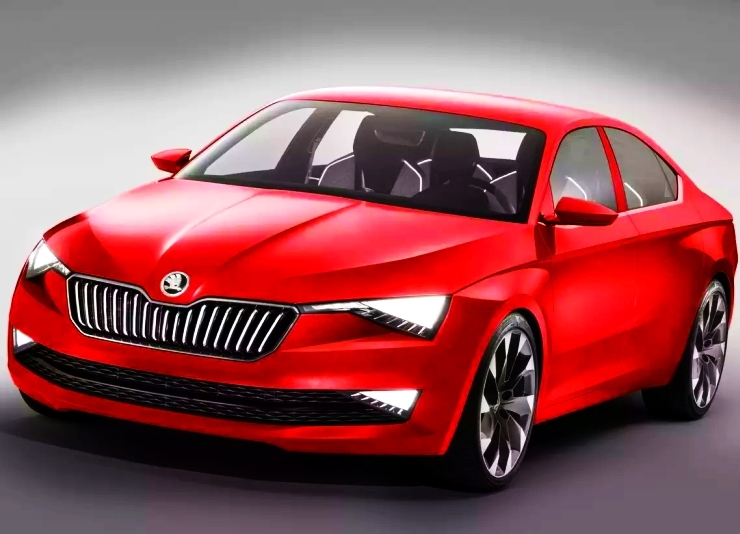 The 2016 Superb will use the design language distilled from the Vision C Concept that Skoda revealed a while ago. LED headlamps and a more aggressive front face will be characteristic design cues on the new Superb. Sharper design elements with a heady mix of edges and curves, are expected to make it to the new car. In terms of engines and gearboxes, MQB ready petrol and diesel motors, all of them turbocharged, will be picked out from the 2015 B8 Passat’s engine bay. The same will be the case with manual and DSG twin clutch automatic transmissions, which are also expected to find place in the 2016 Skoda Superb line up. The 2016 Superb will be built in saloon and station wagon body styles. However, only the saloon version of the 2016 Superb will make it to the Indian car market, where station wagons have traditionally done poorly in terms of large scale acceptance and sales. For the Indian car market, the 1.8 liter TSI turbo petrol and the 2.0 liter TDI turbo diesel engines will be the pick 0f the lot on the 2016 Superb. 6 speed manual, 6 speed and 7 speed DSG automatic gearbox options will be offered on these engines. The 3.5 liter, V6 naturally aspirated petrol motor will be dropped from the 2016 Superb’s line up. As is the case with the current generation Superb, the next generation version will be CKD assembled at Skoda India’s Aurangabad factory. Expect the new car to be priced slightly above the outgoing version’s price. The new Superb is likely to make an end-2015 debut in India.